Burlap reduces Erosion, Conserves moisture while grass or seedlings get started. 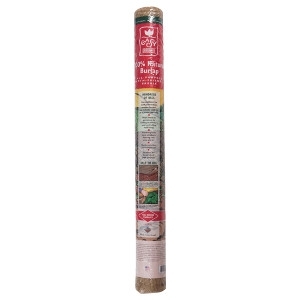 It is also an excellent protective winter wrap for shrubs and bushes and also is a natural way to help control gypsy moths. This specific roll of burlap is 7 ounces in weight. Also great for use in household crafts, and decorating jobs in and around the home.